Akshay Kumar’s film Kesari continues to set the cash registers ringing. The war-drama film has become the fastest film in 2019 to cross Rs 100 crore mark. With this, Kesari has overtaken Gully Boy and Total Dhamaal that crossed this benchmark in eight and nine days, respectively. Superstar Akshay Kumar’s first collaboration with actress Parineeti Chopra & director Anurag Singh, Kesari has got succeed to impress many in theatres with its impactful storyline. The movie has gathered very positive reactions from the critics as well as the audience and gained a solid word of mouth. Kesari was opened excellently on Thursday and registered the highest opening of the year so far with 21.06 crores. On Friday, it faced a significant drop in footfalls but managed to collect 16.75 crores. Afterwards, it attained the pace back and bagged the amount of 18.75 crores on Saturday & 21.51 crores on Sunday. In its 4-days extended opening weekend, Dharma Production’s production did the business of 78.07 crores. Then on weekdays, it recorded a normal decline but still remained good and minted the amount of 8.25 crores on Monday, 7.17 crores on Tuesday & 6.52 crores on Wednesday. On the next day i.e. 2nd Thursday, with a further dip, Kesari raked the business of 5.85 crores and raised its 8-days extended week total collection to 105.86 crores nett from 3600 screens nationwide. 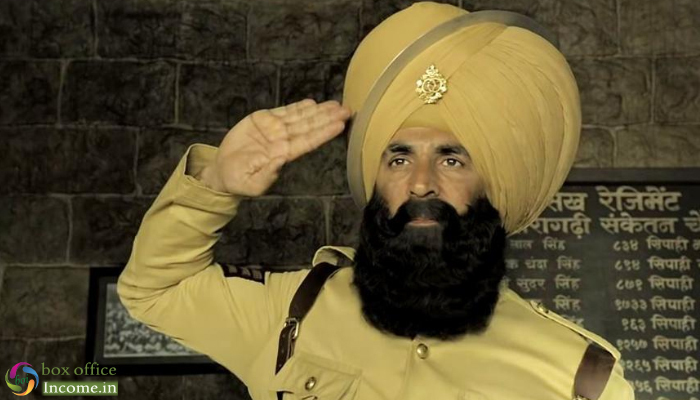 Apart from Akshay Kumar and Parineeti Chopra, Kesari also stars Mir Sarwar, Vansh Bhardwaj, Jaspreet Singh, Vivek Saini and Vikram Kochhar in significant roles.